The best time to water your lawn is in the early morning to avoid water evaporation and to prepare the grass for the day to get dry again. Avoid watering when sun is at its peak or when is wind. 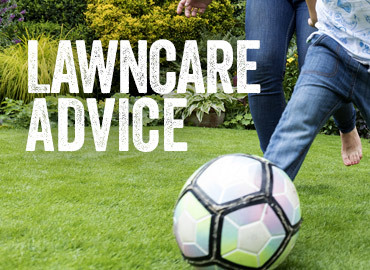 Your grass will need water if you step, or put pressure on it and it doesn’t come back to its position, or if the blades became wilt, or if it’s starting to change to a dull colour. It is better to water 1-2 times weekly thoroughly, rather than several times lightly. This watering technique will promote a healthy root development, making it more resistant to drought. Remember, when it rains, lawns are already getting the water needed (no need to increase your water bill!). Over watering can be detrimental and cause fungus developments or other disease. Make sure you check your hose and water equipment to make sure is in tip-top conditions. If you use sprinklers choose a good quality oscillating model, such as a FloPro sprinkler. Set it up to water as even as possible. Children can enjoy this too! Check and correct the setting if water is running off the lawn. During drought period leave the grass grow longer, so it shades the roots. If the lawn goes brown (dormancy), it will almost always recover. You can also help your lawn tolerate drought by keeping it well fed, free from weeds and moss. There is little need to water a lawn even during a summer drought. Water lawns that are sown or laid in the spring or autumn, especially in dry weather. Water thoroughly, using a fine-rose watering can or sprinkler. Take care to not wash the seeds away. Water daily until established, over the first 3-4 weeks.